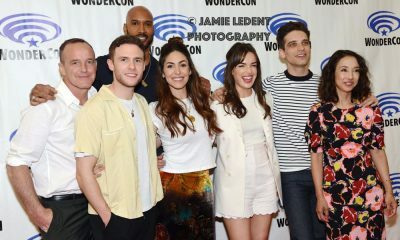 The ABC Television Network announces May sweeps programming, airing through May 23, including series finales of “Once Upon a Time,” airing May 18; and “The Middle,” which completes its nine-year run with a special one-hour episode on May 22. On May 21, the winners of “Dancing with the Stars: Athletes” and “American Idol” will be crowned. 8:00-9:00 p.m. GREY’S ANATOMY – “Bad Reputation” – The hospital brings in crisis management to help them sort out allegations against Harper Avery. Meanwhile, Nurse Olivia shows up at Grey Sloan with her son, throwing Alex and Jo for a loop; and Arizona decides to spend more time with Sofia, who is having a hard time at school. 9:00-10:00 p.m. STATION 19 – “Let It Burn” – Ryan tags along to a disaster drill training at Station 19, where he and Jack get competitive. Captain Pruitt’s health weakens and Andy sticking by his side. 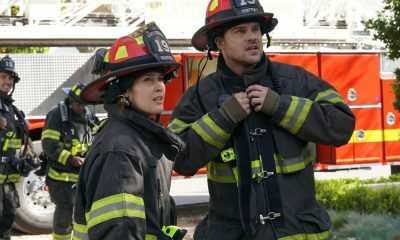 Meanwhile, both the firehouse crew and police department respond to a strip mall fire, forcing Jack and Ryan to work together. 10:00-11:00 p.m. QUANTICO – Season 3 Premiere – “The Conscience Code” – It’s been three years since American hero Alex Parrish has had to navigate the dangerous waters of the Central Intelligence Agency and put her life on the line for her country. She has been living a peaceful, anonymous life somewhere in Italy. However, Alex is forced to abandon this idyllic existence when Ryan persuades her to help him rescue Shelby from a notorious international arms dealer known only as The Widow, who is holding her hostage – and in exchange for her release, she demands something that only Alex can provide. Ryan and Alex recruit Owen and Harry to help rescue their friend and defeat the villain. To help the cause, Owen brings in former agent Jocelyn Turner (Marlee Matlin), who has her own dark past with The Widow. A whole new future lies ahead for this team when they agree to work together as an elite black-ops task force and the thrilling, heart-stopping adventures continue. Guest starring Tony Award(R) winner Jayne Houdyshell as The Widow. 8:00-9:01 p.m. ONCE UPON A TIME – “Flower Child” – Tilly and Rogers find themselves in danger after an encounter with Eloise, forcing Tilly to make a life-altering decision when Rogers’ life is threatened. Meanwhile, Henry and Jacinda’s relationship takes a step forward, but despite Lucy’s efforts, their union doesn’t provide the answers she’s seeking. In a flashback, young Gothel seeks revenge after her home is destroyed. 9:01-10:01 p.m. MARVEL’S AGENTS OF S.H.I.E.L.D. – “Option Two” – The team finds themselves trapped and under siege at the Lighthouse. Special guest stars: Adrian Pasdar as Glenn Talbot and Patrick Warburton as General Stoner. 7:00-8:00 p.m. AMERICA’S FUNNIEST HOME VIDEOS – “Episode 2819” – Kids drop their new phones right out of the package; a dad pranks his teenager with a stuffed raccoon hiding in a pantry; and kids make funny faces after eating sour foods. 8:00-10:01 p.m. AMERICAN IDOL – “Episode 115 (Top 10 – Disney Night)” – Top 10 perform in the first-ever “American Idol” Disney Night. Idina Menzel (“Frozen”) serves as mentor to the Top 10. 10:01-11:00 p.m. DECEPTION – “Multiple Outs” – The FBI works with the Deception group to help stop the Mystery Woman from successfully committing one of the largest jewel heists in history. And, for the first time this season, viewers will have their perspective reversed and they’ll see how Cameron Black performs his greatest deception yet. 8:00-10:01 p.m. DANCING WITH THE STARS: ATHLETES – Season Premiere – “2601” – Hosted by two-time Emmy(R)-winning host Tom Bergeron and Erin Andrews, this will be the most competitive season yet as the show fires up the scoreboard for the ten athletes who will sparkle up their uniforms and lace up their dancing shoes for the ballroom. 10:01-11:00 p.m. THE CROSSING – Ten Years Gone” – Flashbacks reveal a haunting connection between Marshall and the early migration; Jude investigates a mysterious disappearance; and Sophie risks her life and career to help Reece save her daughter. 8:00-8:30 p.m. ROSEANNE – “No Country for Old Women” – After Beverly gets kicked out of the nursing home, Roseanne and Jackie fight over who will take care of their mother. Meanwhile, Mark’s creative touch with building a birdhouse for Dan’s customer is more than Dan can handle, but Darlene defends her son. Guest starring are Estelle Parsons as Bev Harris, Natalie West as Crystal, Sandra Bernhard as Nancy and Christopher Lloyd as Lou. 8:30-9:00 p.m. THE MIDDLE – “Great Heckspectations” – Frankie has to force Brick into asking Cindy (guest star Casey Burke) to the high school prom but worries that his quirkiness could spoil the happy event; Lexie (Daniela Bobadilla) talks a clueless Axl into giving Sue a belated 21st birthday present; and Mike becomes frustrated over how to get used to a new TV remote. 9:00-9:30 p.m. black-ish – “Blue Valentime” – Realizing they have grown apart, tensions are high between Dre and Bow as their contractor arrives to remodel the kitchen. Dre reflects on the good times in his relationship with Bow. 9:30-10:00 p.m. SPLITTING UP TOGETHER – “Nevertheless … She Went Clubbing” – Unbeknownst to Lena and to her dismay, Martin starts to date a familiar face and surprisingly begins to see the world of relationships through brand-new eyes. Meanwhile, Lena tries to show she’s a good role model to her kids by proving a point and faking a night out on the town. 10:00-11:00 p.m. FOR THE PEOPLE – “Have you met Leonard Knox?” – Leonard is forced to confront some longstanding insecurities when his new high-stakes case leads him to question what is right and what is wrong. Sandra goes head-to-head with Seth who files charges against a daring comedian accused of threatening a U.S. president’s life; and Jay defends a tennis player accused of intentionally throwing a match to help his coach win a bet he placed against him. 8:00-8:30 p.m. THE GOLDBERGS – “The Opportunity Of A Lifetime” – Barry gets the chance to throw the first pitch at a Philadelphia Phillies game and believes this is his chance to play professionally, but it’s anything but. Meanwhile, Erica makes an important decision about her future in college. 8:30-9:00 p.m. ALEX, INC. – “The Internet Trolls” – The family helps change Alex’s feelings when he becomes overly sensitive to listeners’ comments leading up to the launch of the podcast. Meanwhile, Rooni enlists Ben’s help with Soraya’s diorama to get her an A on the project but the plan backfires. 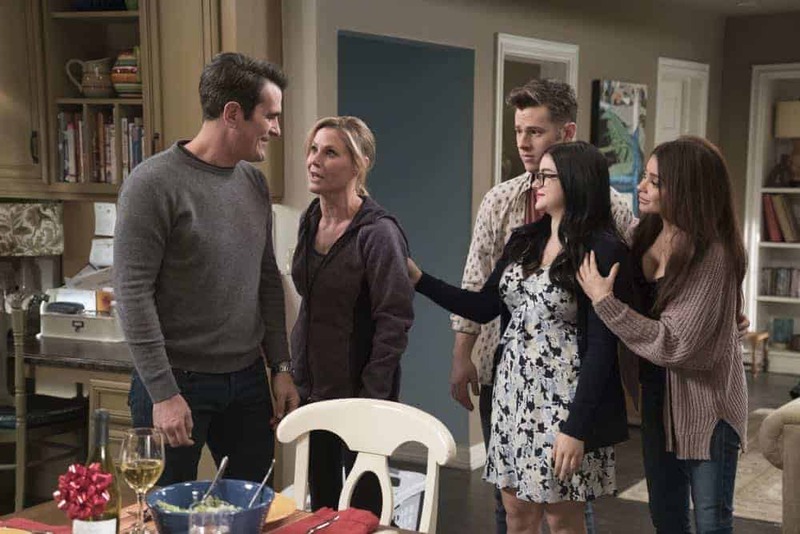 9:00-9:31 p.m. MODERN FAMILY – “Mother!” – When Dede drops in unexpectedly, Mitchell and Cam come to a realization about her effect on their lives; Phil, Luke, Alex and Haley all have different bad news to break to Claire and compete about when to do it: the tiny window of time after her monthly spa day when she’s her most relaxed. Guest starring is Shelley Long as Dede Pritchett. 9:31-10:00 p.m. AMERICAN HOUSEWIFE – “Sliding Sweaters” – When Katie starts her day in a bad mood, the Ottos come together to cheer her up; but in an alternate reality and in a different sweater, Katie starts her day in a good mood and the family comes together to cheer up Greg. 10:00-11:00 p.m. DESIGNATED SURVIVOR – “Bad Reception” – President Kirkman negotiates with a foreign government to release an American held overseas, while attorney Ethan West (Michael J. Fox) continues his investigation. 8:00-9:00 p.m. GREY’S ANATOMY – “Fight for Your Mind” – Alex and Jo go on a road trip to Iowa to find Alex’s mom, whom he hasn’t heard from in a very long time. Meanwhile, Meredith gives a presentation on her mini-livers project, which attracts a ton of attention, while Jackson works to rebuild the foundation after its reputation is threatened. 10:00-11:00 p.m. QUANTICO – “Fear and Flesh” – In tracking down the origin of a deadly strain of tuberculosis threatening Americans, Agent Ryan Booth must go undercover and infiltrate a white supremacist organization – an assignment that threatens the life of another member of the team. Alan Powell joins the cast of “Quantico” as Agent Mike McQuigg. 8:00-9:01 p.m. ONCE UPON A TIME – “Is This Henry Mills?” – Roni enlists Lucy’s help to wake Henry, but things don’t go as planned. Meanwhile, Rogers and Weaver go to Margot in hopes of getting through to Tilly. In a flashback, Young Henry struggles to decide what path to follow until a mysterious phone call helps put him on track. 9:01-10:01 p.m. MARVEL’S AGENTS OF S.H.I.E.L.D. – “The One Who Will Save Us All” – A newly determined Talbot takes Coulson to meet the enemy and attempts to stave off the destruction of Earth. Special guest star: Adrian Pasdar. 7:00-8:00 p.m. AMERICA’S FUNNIEST HOME VIDEOS – “Episode 2820” – A little girl asks Siri for the passcode to her dad’s phone; people fainting during special occasions; whale watchers are surprised by a whale that gets too close; and people who just got their wisdom teeth removed think they’ve lost their tongue. 8:00-10:01 p.m. AMERICAN IDOL – “Episode 116 (Top 7)” – Helping America determine who will become the next singing sensation are music industry forces and superstar judges Luke Bryan, Katy Perry and Lionel Richie, with Emmy Award-winning Ryan Seacrest returning as host. 10:01-11:00 p.m. DECEPTION – “Getting Away Clean” – The Deception team gets an unexpected partner, while Gunter makes a discovery that will change the team’s lives forever. 8:00-10:01 p.m. DANCING WITH THE STARS: ATHLETES – “2602” – Hosted by two-time Emmy-winning host Tom Bergeron and Erin Andrews, this will be the most competitive season yet as the show fires up the scoreboard for the athletes who will sparkle up their uniforms and lace up their dancing shoes for the ballroom. 10:01-11:00 p.m. THE CROSSING – “LKA” – Jude is forced to confront his past when he travels back to Oakland to seek assistance from a former colleague. Meanwhile, Caleb reaches out to Marshall after noticing heightened security around the camp; and Sophie experiences an unexpected setback with her plan to help Reece reunite with her daughter. 8:00-8:30 p.m. ROSEANNE – “Go Cubs” – The Conners can’t pay their Wi-Fi bill, so they befriend their new neighbors to use the internet for Mary to Skype with mom Geena, who is stationed in Afghanistan. Meanwhile, Dan loses an important job and D.J. admits post-military life has been hard, so they come up with a plan to make extra money. Guest starring in this episode are James Pickens Jr. as Chuck and Adilah Barnes as Anne-Marie. 8:30-9:00 p.m. THE MIDDLE – “The Royal Flush” – In an attempt to get Frankie the best Mother’s Day gift ever, Sue and Brick enter a trivia contest where they could win a trip for two to London for the upcoming royal wedding; and Axl is offered a job interview that could change his life. 9:00-9:30 p.m. black-ish – “Collateral Damage” – The Johnson kids attempt to keep their emotions in check after an estranged Dre and Bow try “nesting,” taking turns living in the family house separately to give each other space. But tensions mount as the family gathers together for Junior’s high school graduation. Guest starring is Anna Deavere Smith as Alicia. 9:30-10:00 p.m. SPLITTING UP TOGETHER – “Letting Ghost” – Martin and Lena are thrilled when they hear that Mae has won the lead in the school musical but are surprised to learn that she has been confiding in the school psychiatrist, Dr. Rydacto (guest star Fred Armisen), about her feelings toward how not divorced they are acting. Meanwhile, Martin has reservations about how fast his relationship with his girlfriend is going and asks Mason for girl advice. 10:00-11:00 p.m. FOR THE PEOPLE – “Flippity-Flop” – Jill and Roger’s complicated friendship is tested when they finally square off over a DEA raid that left an inmate clinging to life. Meanwhile, Kate is assigned to an animal smuggling case involving the death of an endangered panda; and Jay’s emotions are thrust into a case when he learns his trusting father was a victim in a pyramid scheme. 8:00-8:30 p.m. THE GOLDBERGS – “Spaceballs” – Adam tries to start a Mel Brooks club after he sees the movie “Spaceballs,” and Jackie mistakes his club advertisement for political satire and puts it in the school paper. Meanwhile, when Beverly and Pops come up for parents weekend at school, Erica plans on telling them an important decision she has made, but Murray surprises them and tags along. The episode features a special voiceover by Rick Moranis. 8:30-9:00 p.m. ALEX, INC. – “The Fever” – Using a voice translator to understand what Joya (guest star Anjali Bhimani) said about him in Bengali, Alex instead accidentally discovers a family secret. Deirdre accidentally erases all of the focus group results and tries to recreate it before Alex gets back to the office, and Soraya doesn’t want to participate in her recital so she pretends to be sick. 9:00-9:31 p.m. MODERN FAMILY – “The Escape” – Haley meets Arvin’s parents (“Grey’s Anatomy”‘s Kate Burton, Jim Piddock) but when things don’t go as planned, fate leads to an unexpected reunion with all of her ex-boyfriends. Meanwhile, the family seizes on a nursing home visit with Jay’s mean sister, Becky, to settle old scores. But as Jay, Claire and Mitchell compete for her time, Phil, Cam and Gloria end up getting trapped in the home’s basement with no way out. Chris Geere guest stars as Arvin; Adam Devine, Reid Ewing and Nathan Fillion all reprise their roles. Mira Sorvino returns as Nicole Rosemary Page. 9:31-10:00 p.m. AMERICAN HOUSEWIFE – “Finding Fillion” – In order to impress the other moms at school, Katie, Taylor and Oliver travel to New York to track down Nathan Fillion at a “Firefly” convention, so Katie can convince him to attend the school’s spring gala. Nathan Fillion guest stars as himself. 10:00-11:00 p.m. DESIGNATED SURVIVOR – “Target” – White House Council Kendra Daynes finds herself in a dangerous situation that puts another White House staffer’s life at risk while Hannah Wells takes an unexpected trip for answers. 8:00-9:00 p.m. GREY’S ANATOMY – “Cold as Ice” – One of Grey Sloan Memorial’s own is seriously injured, making the team reflect on what is truly important to them. Meanwhile, Nicole Herman pays a visit to Grey Sloan and talks to Arizona about an exciting opportunity. 9:00-10:00 p.m. STATION 19 – “Hot Box” – In the final days before the Station 19 captaincy is announced, Pruitt warns Andy not to be disappointed with the outcome of the race. Meanwhile, Ben gets upset with Pruitt for having told Bailey the dangers of firefighting; and the team gets trapped inside the garage of a burning house, putting several lives at risk. 10:00-11:00 p.m. QUANTICO – “Hell’s Gate” – The team must protect an ex-CIA agent to take down a cartel kingpin, an assignment that puts all of their lives in danger. 9:01-10:01 p.m. MARVEL’S AGENTS OF S.H.I.E.L.D. – “The Force of Gravity” – Daisy’s future as the destroyer of worlds could take a critical change. 7:00-8:00 p.m. AMERICA’S FUNNIEST HOME VIDEOS – “Episode 2821” – Nine finalists go head-to-head for a $100,000 prize. 8:00-10:01 p.m. AMERICAN IDOL – “Episode 117 (Top 5)” – As the search for America’s next superstar continues, the Top 5 perform. 10:01-11:00 p.m. DECEPTION – “The Unseen Hand” – Cameron and Kay investigate a secret society where they learn that one of them has a close family connection. 8:00-10:01 p.m. DANCING WITH THE STARS: ATHLETES – “2603” – Hosted by two-time Emmy-winning host Tom Bergeron and Erin Andrews, this will be the most competitive season yet as the show fires up the scoreboard for the athletes who will sparkle up their uniforms and lace up their dancing shoes for the ballroom. 10:01-11:00 p.m. THE CROSSING – “Some Dreamers of the Golden Dream” – As tensions in the camp rise, Craig Lindauer agrees to allow a select group of refugees take a trip into town, causing Jude to question the sudden show of goodwill. Meanwhile, Hannah shares startling information with Marshall, and Caleb discovers that a survivor amongst them is an Apex insider. 8:00-8:30 p.m. ROSEANNE – “Netflix & Pill” – After celebrating their 45th anniversary, Roseanne reveals to Dan a bigger problem with her bad knee. Meanwhile, Crystal announces her retirement as a waitress at the casino, and Becky and Darlene compete for the job, which has full-time benefits. Guest starring in this episode is Natalie West as Crystal. 8:30-9:00 p.m. THE MIDDLE – “Split Decision” – The penultimate episode before next week’s one-hour series finale, now that Frankie knows Axl was offered a job in Denver, she makes it her mission to sway him from taking it and moving away. Meanwhile, the usually overly optimistic Sue is depressed over Sean leaving for Ghana, without ever expressing her feelings for him; and Brick drives everyone crazy when he buys a huge amount of lawn chairs to replace the one he’s been using for nine years. 9:00-9:30 p.m. black-ish – Season Finale – “Dream Home” – Dre and Bow are living separate lives and switching off with the kids. They start to realize how much they relied on each other and how hard it is being on their own. Dre gets his sleek, ultra-modern dream house in the canyon with all the amenities, and Bow doesn’t think it’s suitable for the kids. 9:30-10:00 p.m. SPLITTING UP TOGETHER – “Star of Milo” – Despite Lena and Martin getting along as co-parents, they must determine the best way to orchestrate Milo’s upcoming birthday festivities based on their new system of boundaries. Meanwhile, Oliver is pleasantly surprised when Jenna shares a birthday invite with an unforeseen guest. Elsewhere, Maya takes matters into her own hands and reveals a surprise guest of her own. 10:00-11:00 p.m. FOR THE PEOPLE – “Extraordinary Circumstances” – Sandra goes the extra mile for a client when she goes up against the FBI and ends up in one of the most unexpected and compromising situations of her young career. Meanwhile, Roger assigns Kate, Seth and Leonard to work on a highly sensitive case after receiving a tip alleging that the governor of New York is trying to illegally sell a seat in the Senate. 8:00-8:30 p.m. THE GOLDBERGS – Season Finale – “Let’s Val Kilmer This Car” – When Lainey (guest star AJ Michalka) moves back to town, Barry asks her to the prom; but when she says no, he plans a senior prank with Principal Ball’s car to get out of going. Meanwhile, Erica tells Murray she has made a final decision about her future in college, and he is furious and insists she pay her own way for rent and food. 8:30-9:00 p.m. ALEX, INC. – Season Finale – “The Rube Goldberg Contraption” – After a company offers Alex money to expand the business, he worries his business is ruining his relationship with Rooni and the children and makes an important decision about the future. And with the future looking bright for the company, Deirdre and Eddie bring on a famous podcast producer. Natalie Morales guest stars as Serena. 9:00-9:31 p.m. MODERN FAMILY – Season Finale – “Clash of Swords” – Mitchell sneaks out to “Hero-Con” with fanboy Phil, dressed as their favorite characters from the show “Clash of Swords.” It’s great until Phil commits the ultimate fan faux pas. In a clash of another kind, Gloria’s dinosaur party for Joe is ruined when her nemesis, Dr. Donna Duncan (Jane Krakowski), upstages her with a far bigger and better party right next door. 9:31-10:00 p.m. AMERICAN HOUSEWIFE – Season Finale – “The Spring Gala” – When things start to fall apart at the last minute, Katie figures out a new way to make the spring gala a success. Meanwhile, Greg attempts to be a “fun dad” and winds up adopting a dog while Katie is occupied with the gala. Nathan Fillion guest stars as himself. 10:00-11:00 p.m. DESIGNATED SURVIVOR – Season Finale – “Run” – As President Kirkman continues to deal with the turmoil surrounding the hacker and congressional investigation, a natural disaster threatens the lives of two White House staffers. Meanwhile, Kirkman’s closest allies are surprised when the president makes an announcement no one saw coming. 8:00-9:00 p.m. GREY’S ANATOMY – Season Finale – “All of Me” – Meredith Grey and the team of doctors at Grey Sloan Memorial are faced with life-or-death decisions on a daily basis. They seek comfort from one another, and, at times, more than just friendship. Together they discover that neither medicine nor relationships can be defined in black and white. 9:00-10:00 p.m. STATION 19 – Season Finale – “Not Your Hero” – Ben reaches a new milestone as a rookie and, as is tradition, receives something from the crew. Chief Ripley holds final interviews for the role of captain but is interrupted when the team is called to a massive skyscraper fire, causing several lives to hang in the balance. 10:00-11:00 p.m. QUANTICO – “Spy Games” – Alex and McQuigg are assigned to protect a prince following the assassination of an emir – but the team soon realizes the killer is closer than they think. 9:01-10:01 p.m. MARVEL’S AGENTS OF S.H.I.E.L.D. 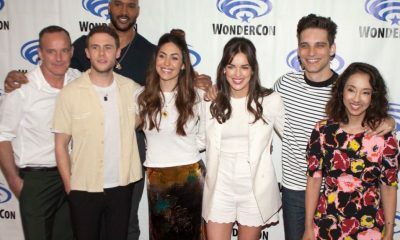 – Season Finale – “The End” – Coulson’s life or death is the challenge the team finds themselves in, as the wrong decision will cause the destruction of Earth. Directed by Jed Whedon. 10:01-11:00 p.m. 20/20 – The day before the royal wedding, the show takes a look at the two most important women in Prince Harry’s life: his mother, Princess Diana, and his soon-to-be bride, Meghan Markle. The special highlights the similarities between both women and how Diana transformed the perception of the royal family and how Meghan, with her iconic style, humanitarian work and career, is poised to redefine the role of royal spouse. The hour will also report on Prince Harry and Meghan’s relationship, the last-minute details leading up to the wedding of the year and what the future holds. David Muir anchors and correspondent Deborah Roberts reports from Windsor, England. 10:00-11:00 p.m. 20/20: THE ROYAL WEDDING – Airing just hours after the royal wedding, “20/20” will report on the day’s most memorable moments, including the vows, reception, fashion, the royal couple’s first public appearance following the wedding and other inside details. David Muir anchors and correspondent Deborah Roberts reports from Windsor, England. 7:00-8:00 p.m. AMERICA’S FUNNIEST HOME VIDEOS – Season Finale – “Episode 2822” – The grand prize finale episode features the two $100,000 winners of the season competing for a Walt Disney World(R) Resort vacation. This week’s videos include a collection of host Alfonso Ribeiro’s funniest home videos, a little girl who is so enthralled with her new whoopee cushion she doesn’t want to open any more Christmas presents, and a compilation of the hazards of winter featuring people falling on icy porches. 8:00-10:00 p.m. AMERICAN IDOL – “Episode 118 (Performance Finals)” – In part one of the epic two-night finale, the top 3 finalists perform. 10:00-11:00 p.m. DECEPTION – “Loading Up” – The Deception team is called on to help stop a spy from stealing top-secret military information, while Cameron is frustrated when someone from Kay’s past comes back into the picture. Brett Dalton guest stars as CIA agent Isaac Walker. 8:00-9:00 p.m. DANCING WITH THE STARS: ATHLETES – Season Finale – “2604” – A new champion is crowned in the finale of the first-ever all-athletes edition of the show. 9:00-11:00 p.m. AMERICAN IDOL – Season Finale – “119 (Grand Finale)” – The search for America’s next superstar comes to an end as the new Idol winner is crowned. 8:00-8:30 p.m. ROSEANNE – Season Finale – “Knee Deep” – Roseanne’s knee gets worse so Dan is forced to a make an important work decision; but when a major storm hits Lanford, their fortunes change for the better. Later, Darlene realizes she has to go back to her first passion, writing, on the season finale. Guest starring in this episode are James Pickens Jr. as Chuck and French Stewart as Dean. 8:30-9:30 p.m. THE MIDDLE – Series Finale – “A Heck of a Ride” – After nine hilarious and heartfelt seasons, a Heck leaves the nest as the family takes a road trip to Denver, where Axl will start his new job – and new life away from home. 9:30-10:00 p.m. SPLITTING UP TOGETHER – Season Finale – “Heat Wave” – Lena and Martin choose to share the house for the summer while the children are away at camp despite Lena’s reservations, but soon realize it might not be the worst idea. They collectively agree to throw their annual backyard pina colada party where they will celebrate their independence from their children. Elsewhere, a friendly face returns back home and Martin can’t help but see it as a sign. 10:00-11:00 p.m. FOR THE PEOPLE – Season Finale – “This is what I wanted to say” – Sandra defends a hydrologist accused of spying for the Chinese government, but the similarities between this and a former case she lost has her confidence shaken. 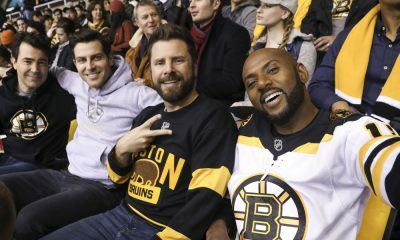 Meanwhile, Jay faces his fears and goes up against Kate in a case involving a PTA president accused of selling drugs to students; and Allison receives a tempting proposition from her wine-forger client, and Leonard reaches out to Kate for advice that culminates with a surprising confession. 8:00-10:00 p.m. “TOY STORY 3” – Woody, Buzz Lightyear and the rest of the “Toy Story” gang return for an all-new adventure, along with a few new faces – some plastic, some plush – including Barbie’s counterpart Ken, a thespian hedgehog named Mr. Pricklepants and a strawberry-scented bear named Lots-O-Huggin’ Bear. Produced by Pixar Animation Studios, “Toy Story 3” features an ensemble voice cast including Tom Hanks, Tim Allen, Joan Cusack, Don Rickles and more. 10:00-11:00 p.m. LIGHTS, CAMERA, SUMMER! – A SPECIAL EDITION OF 20/20 – Featuring actor Ryan Reynolds, a behind-the-scenes look at summer blockbusters. DNA testing is all the rage; and this May, “The Chew” crew is going back to its roots to celebrate family heritage through food as co-hosts Carla Hall, Clinton Kelly and Michael Symon are making dishes inspired by their ethnic origins. From Broadway to bacon, it’s “Hosts Choice Week” and not only will we showcase our co-hosts’ favorite things but loyal viewers get a say, too, and you can’t miss our legendary conclusion to the week as “The Chew” welcomes the one and only Carol Burnett. The weather is warming up and it’s the perfect time for some fun, so get ready as “The Chew Plans Your Party” with a week full of helpful tips and delicious dishes that will wow your guests. Plus, “The Chew” is your destination for fabulous ideas to pay tribute to mom as Mother’s Day approaches. Get ready for the royal treatment as we celebrate the upcoming nuptials of Prince Harry and Meghan Markle with “Royal Wedding Week.” And as May draws to a close, we’re making a “Summer Splash” and diving right in with a week of grilling, outdoor entertaining and all things summer! “General Hospital”‘s annual Nurses Ball, this year sponsored by Olay, returns WEDNESDAY, MAY 16, and airs through MONDAY, MAY 21, 2018. Founded in 1994 by Port Charles resident Lucy Coe (Lynn Herring), the Nurses Ball is one of fictional Port Charles’ most glamorous charity events dedicated to HIV/AIDS awareness and research. Celebrity guest appearances include “The Chew”‘s Carla Hall and “The Bachelor”‘s Nick Viall. Stunning red carpet fashion, never-before-seen musical performances and a surprise proposal make this year’s Nurses Ball THE can’t-miss event. “Jimmy Kimmel Live!” airs every weeknight at 11:35 p.m. EDT. Scheduled guests include Melissa McCarthy, Miley Cyrus, Bill Hader, Luke Bryan, Senator Elizabeth Warren, Carol Burnett, Senator Cory Booker, Ryan Seacrest, Keith Urban and many more. Jimmy will also welcome Donald Glover, Woody Harrelson and Alden Ehrenreich during a special “Solo” week in May.